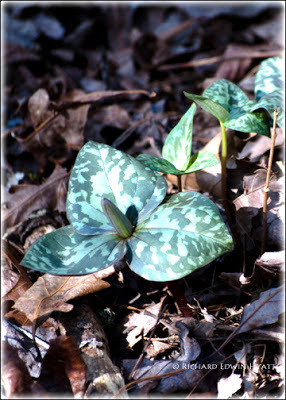 This is a photo of the first Trillium I found last year on March 6, 2012. It was just off the main road going into Black Rock Mountain State Park, Georgia. My first this year was last night February 23 at the Chattooga River along Hwy. 76. I didn't take a photo yet of it. The 2013 trillium season has begun! Valentine's Day is February 14!